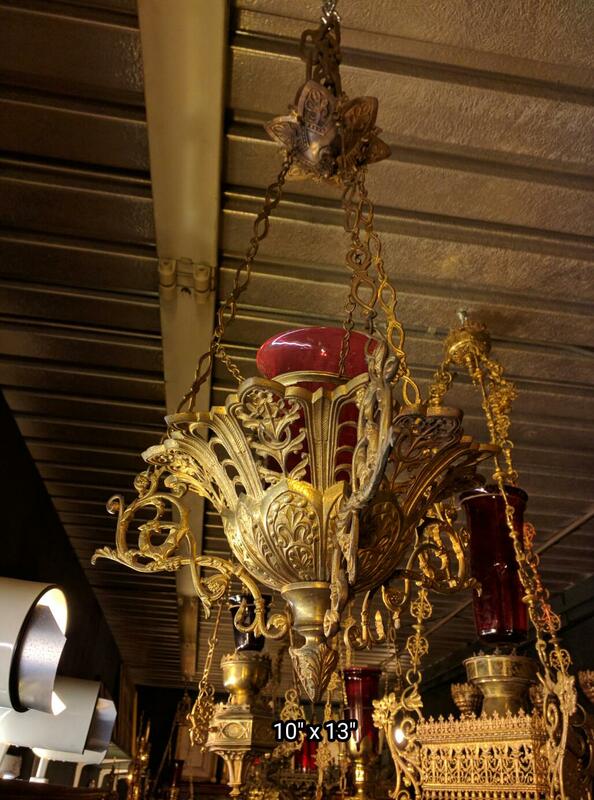 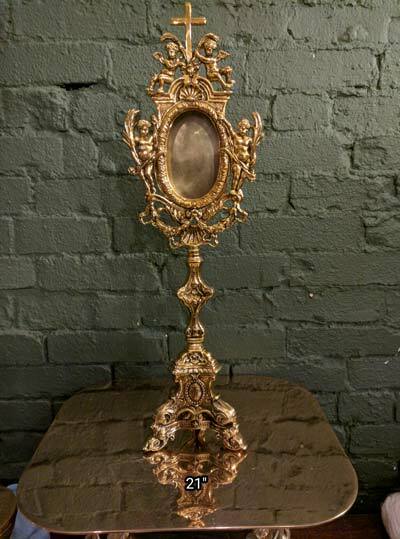 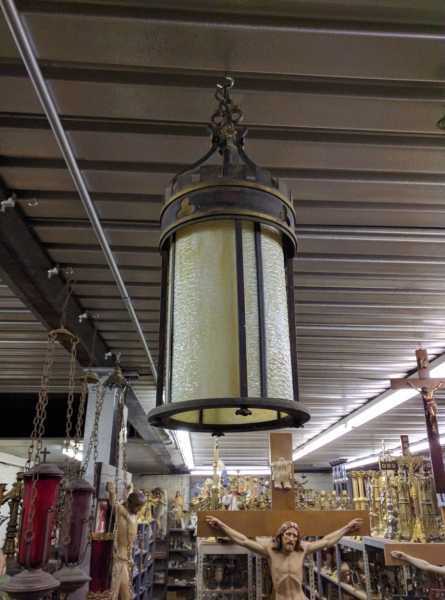 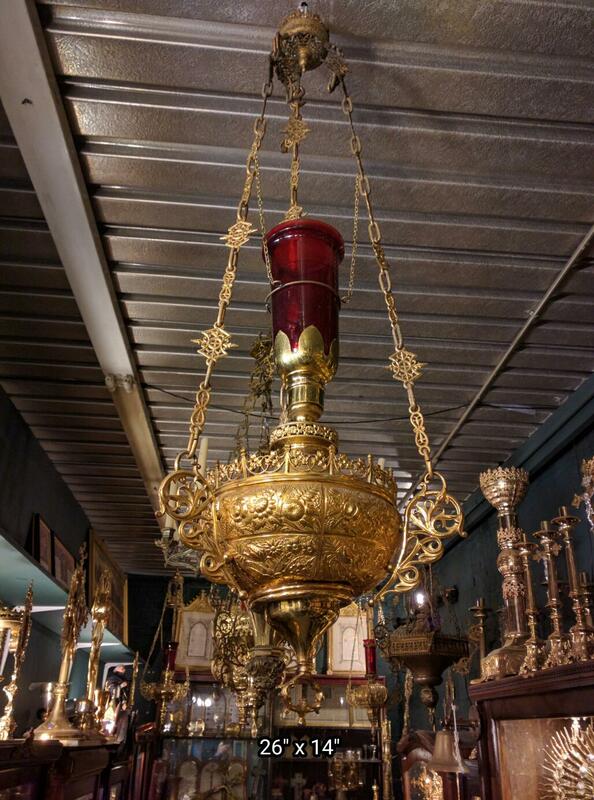 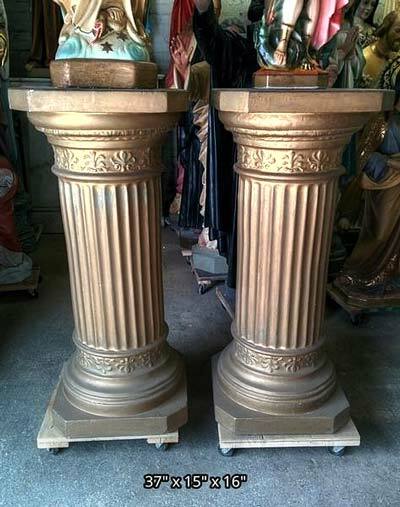 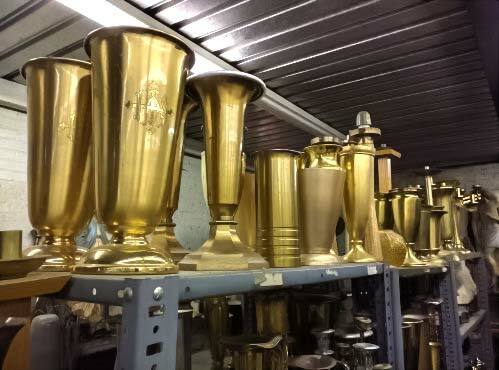 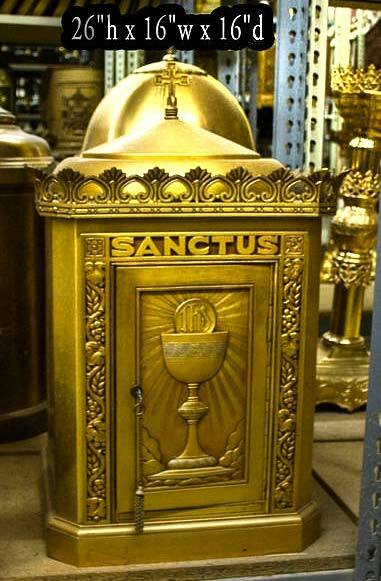 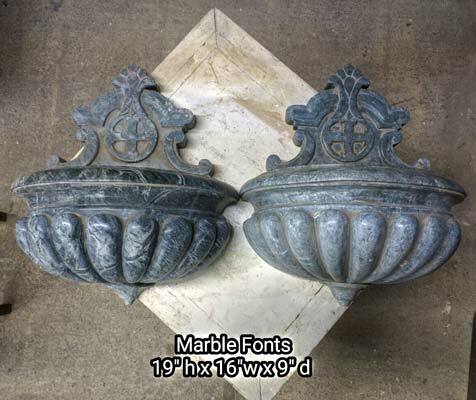 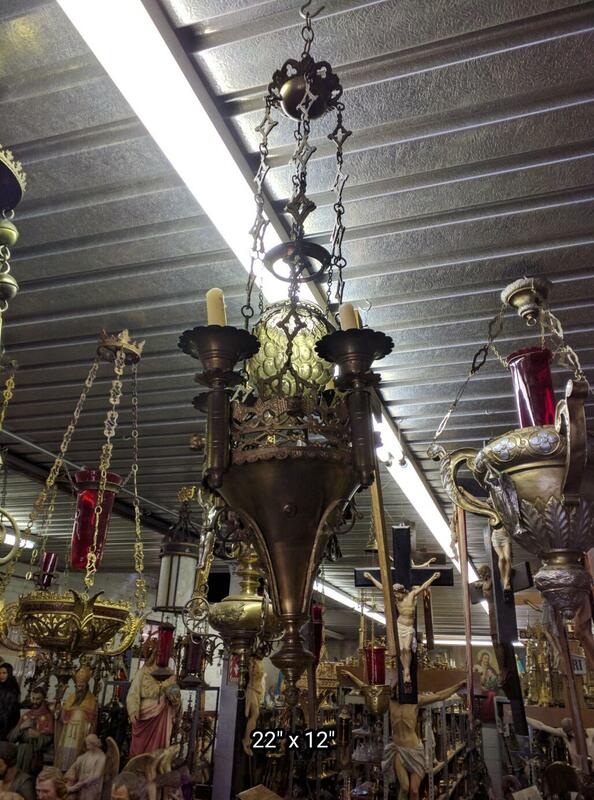 Find quality antique sanctuary lighting for 1/4 of the price you'll pay for something new. 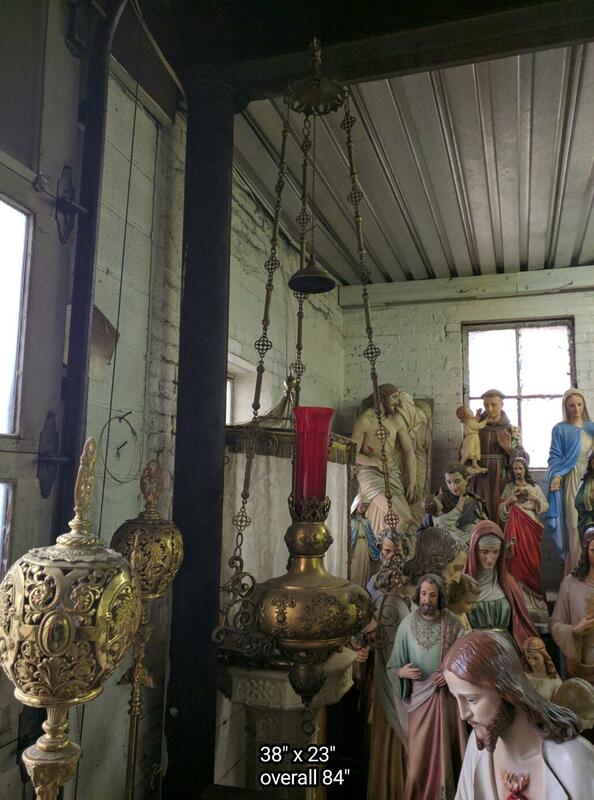 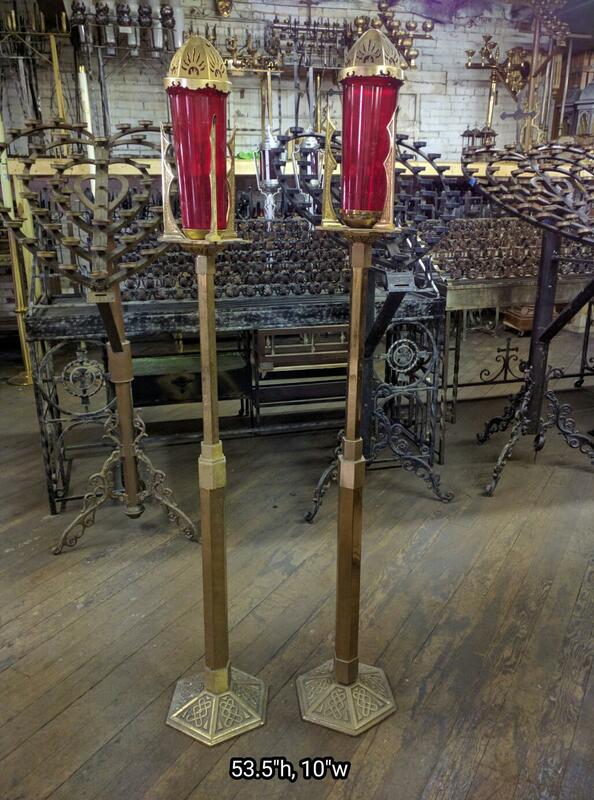 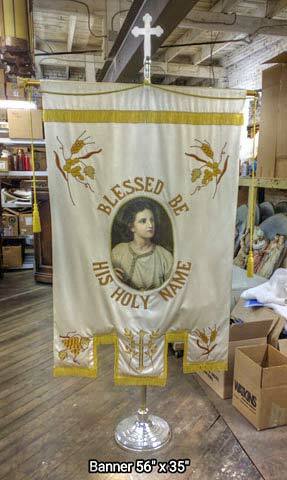 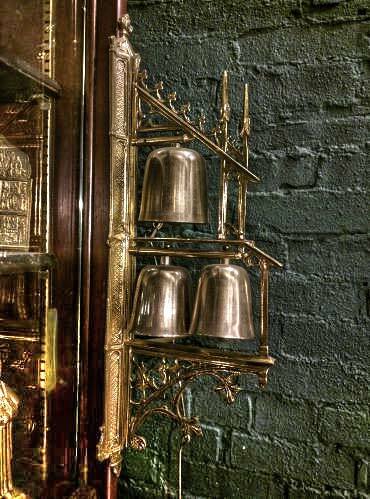 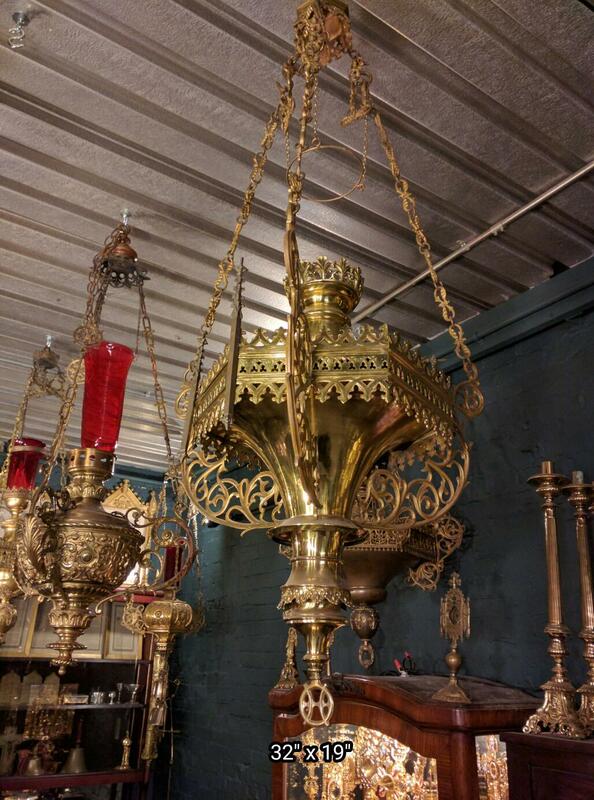 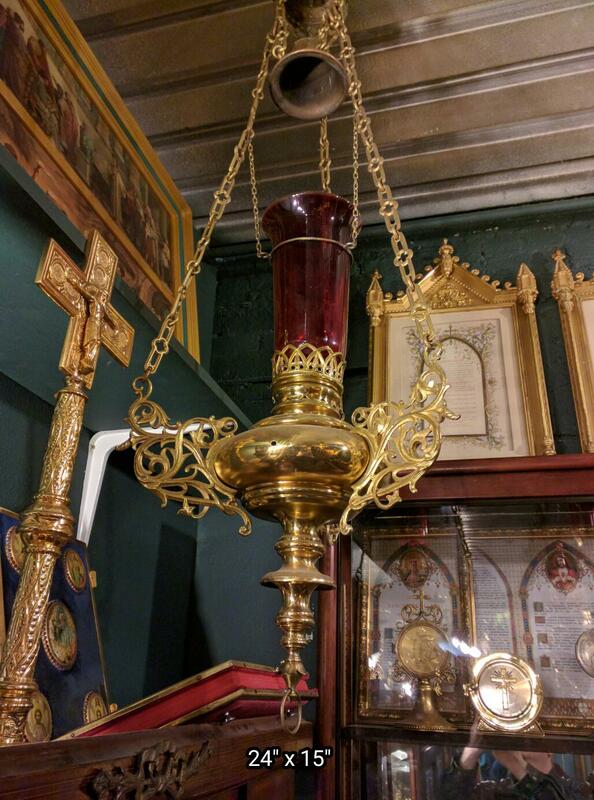 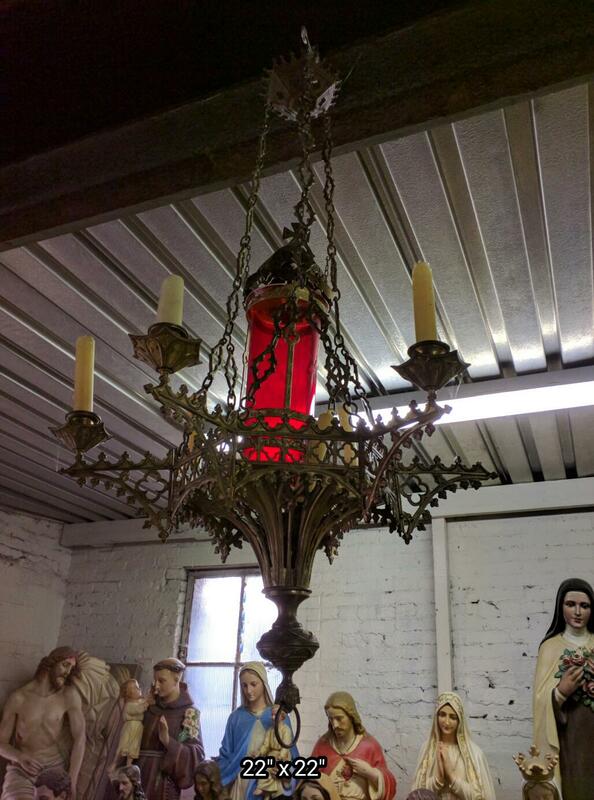 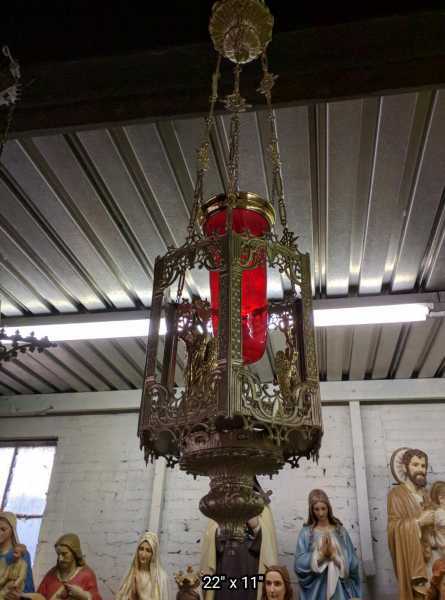 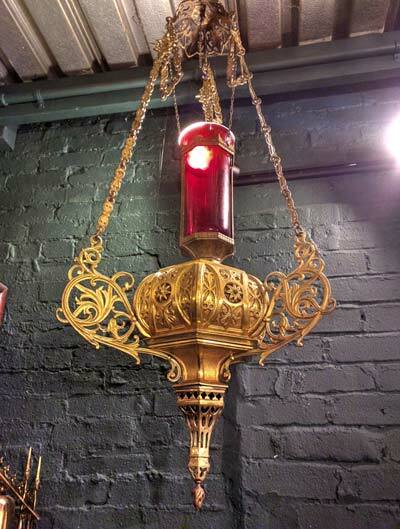 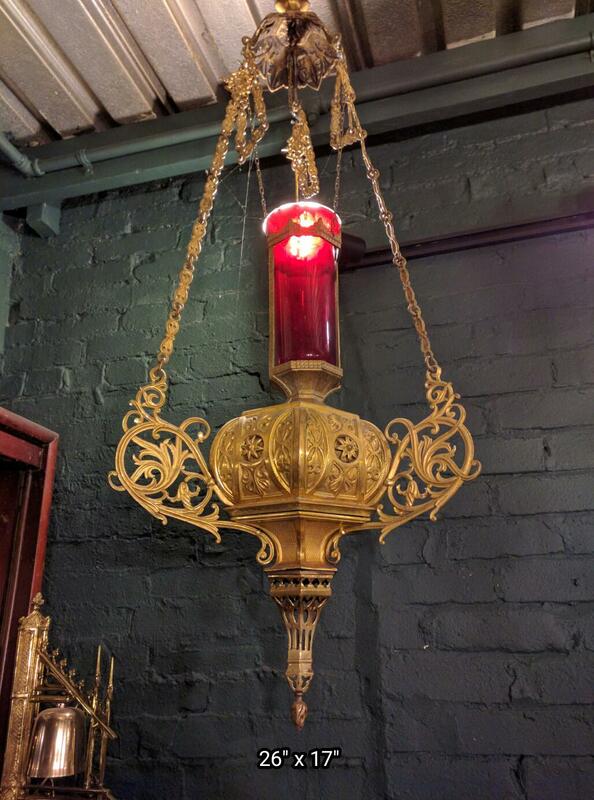 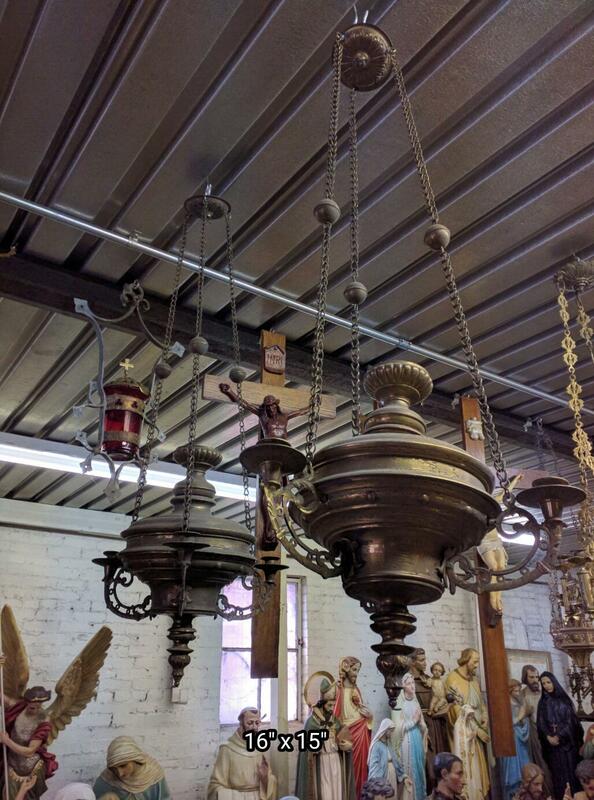 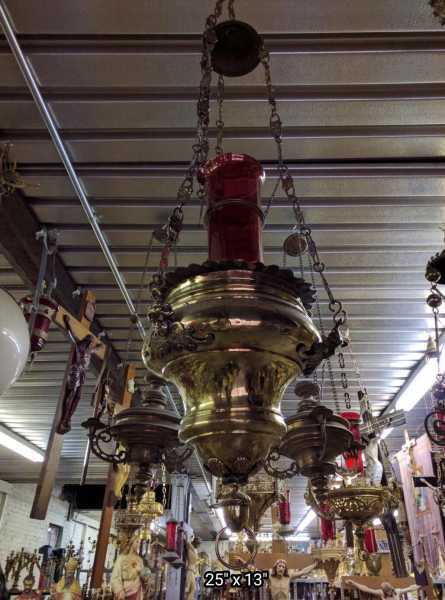 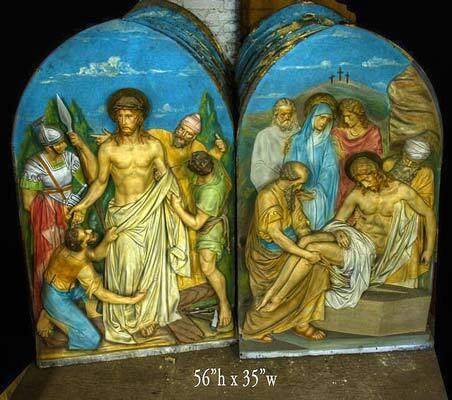 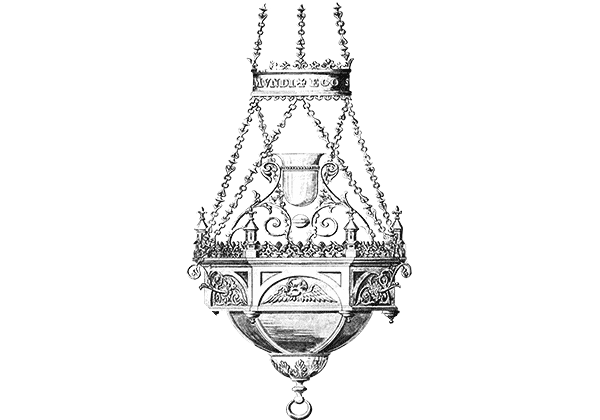 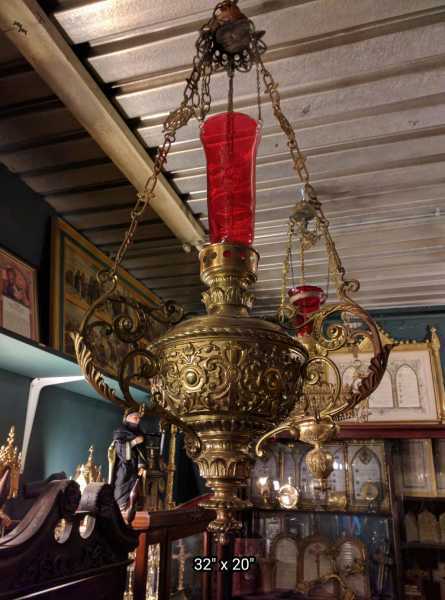 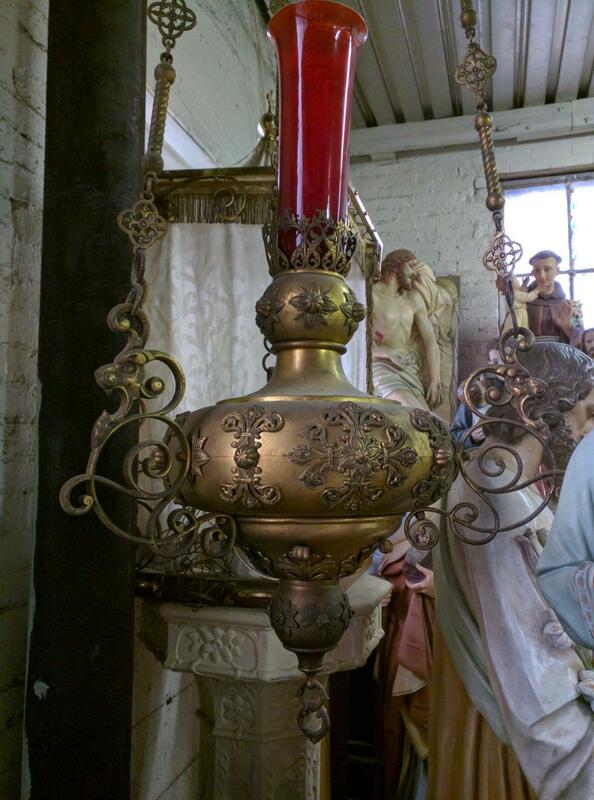 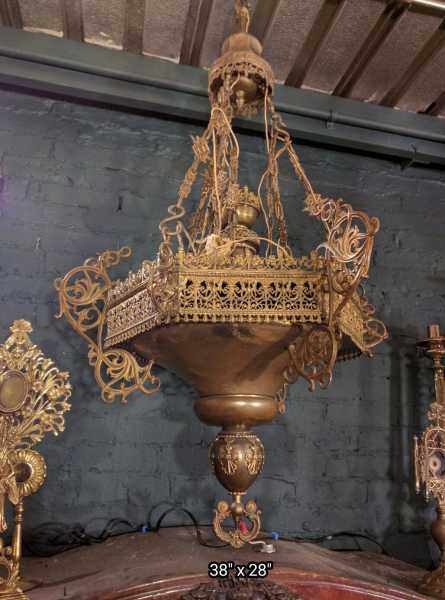 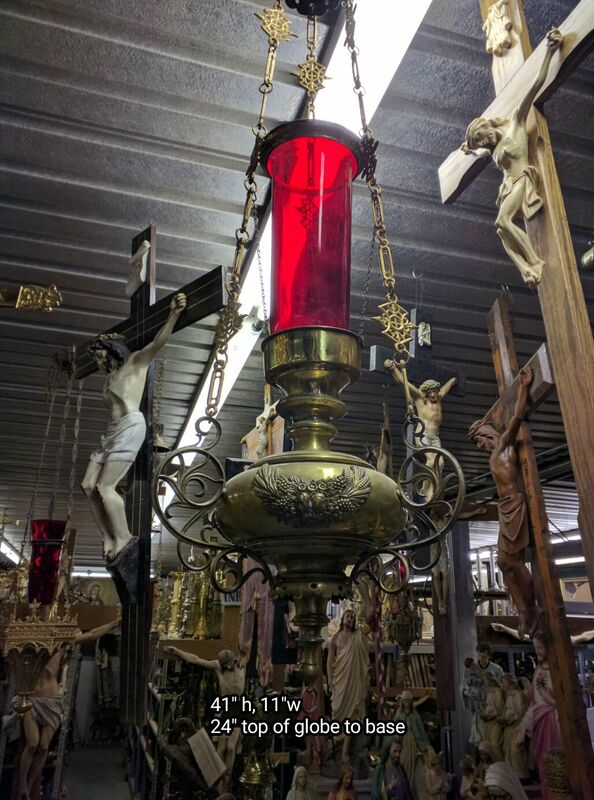 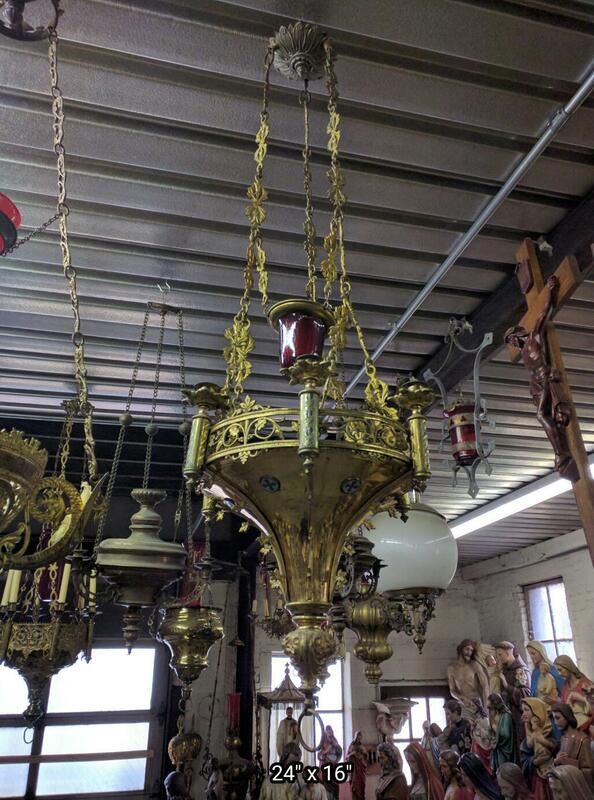 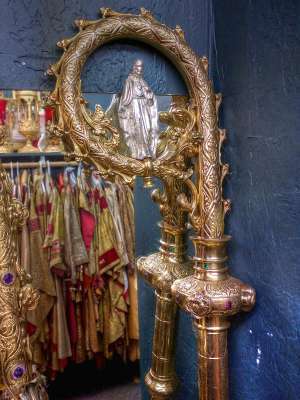 + Images in this gallery show some of the hanging sanctuary lamps we have for sale. 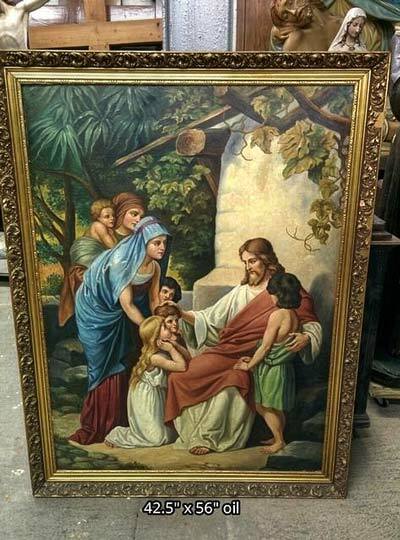 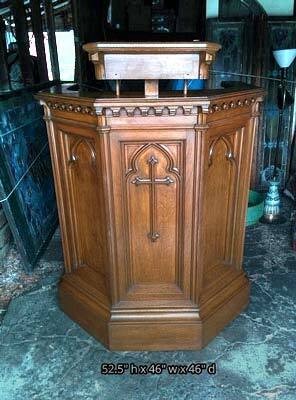 + We buy used hanging sanctuary lights and entire church contents confidentially. 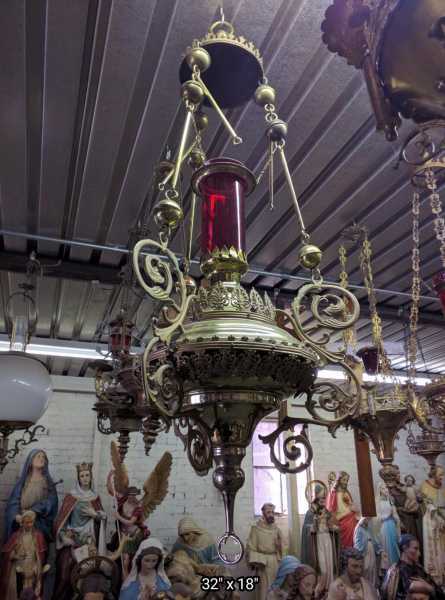 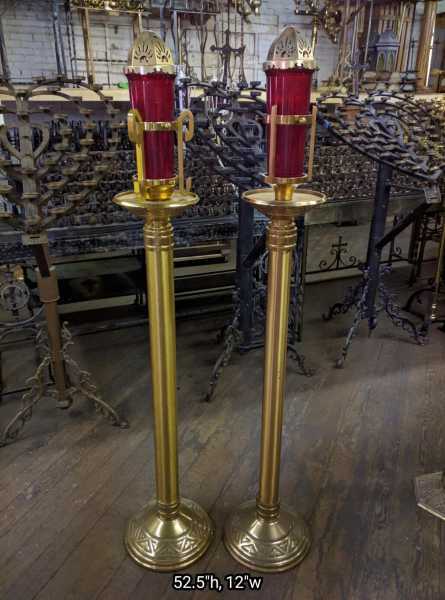 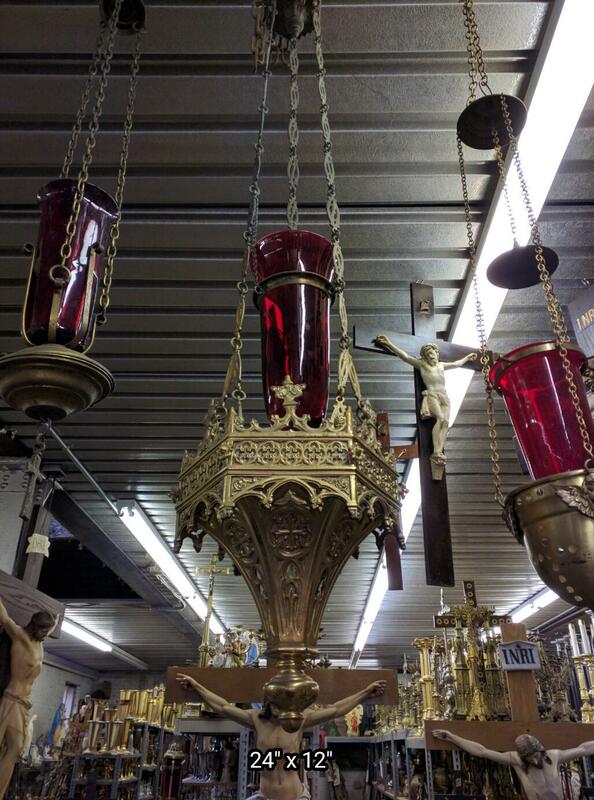 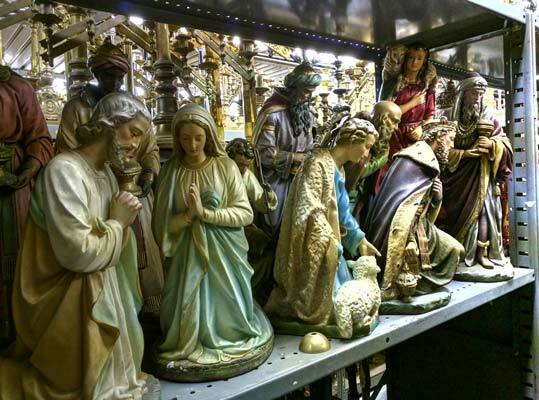 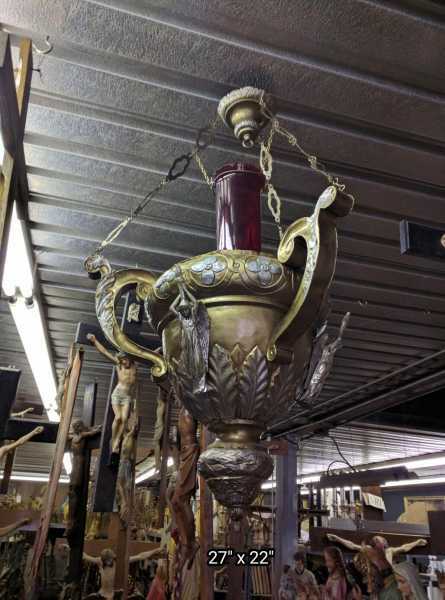 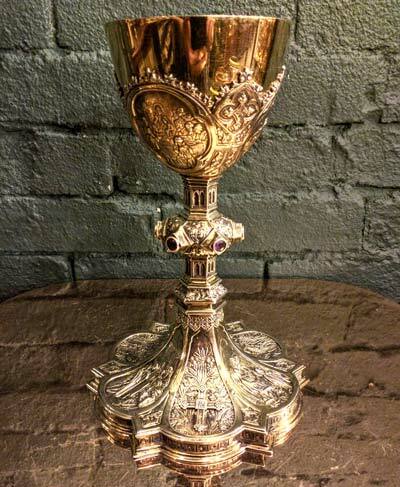 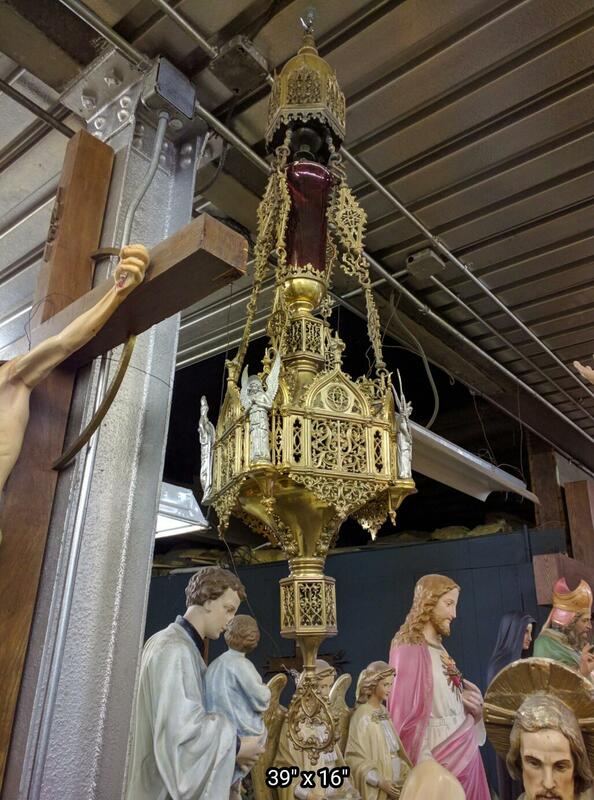 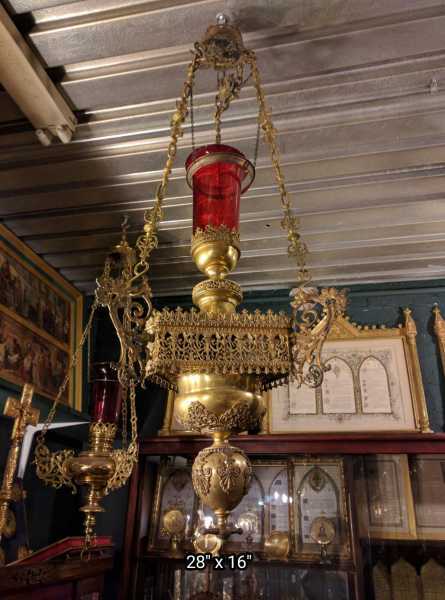 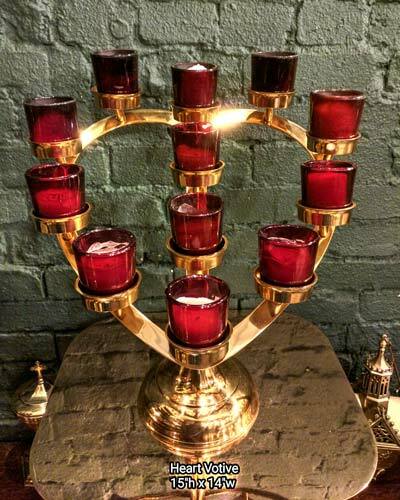 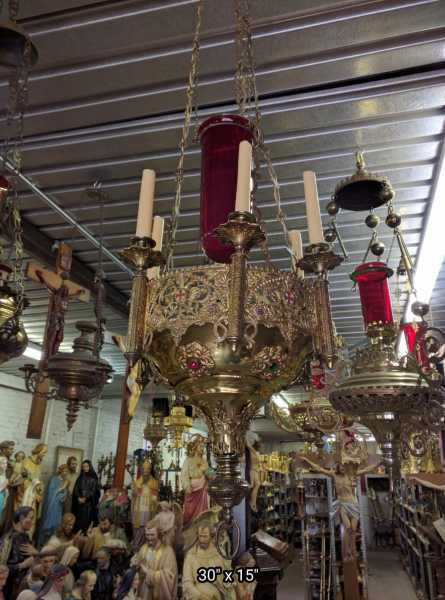 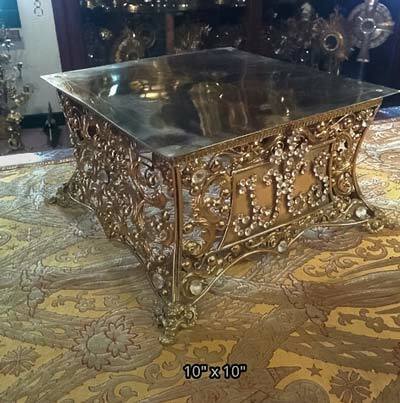 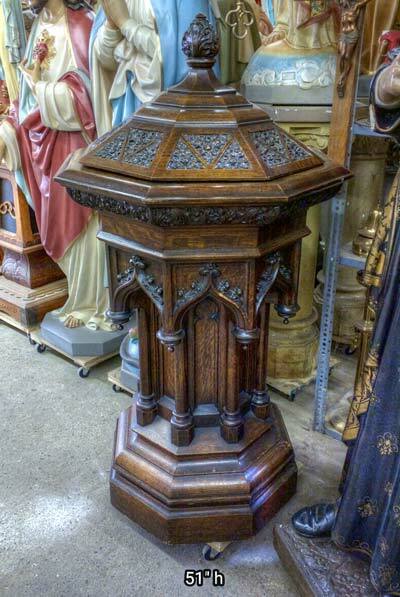 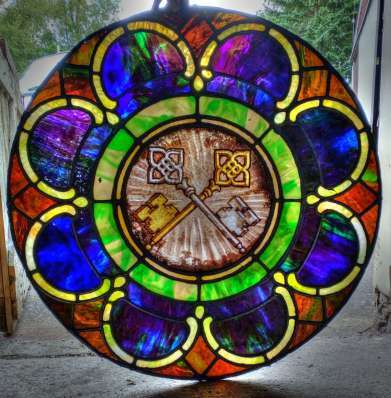 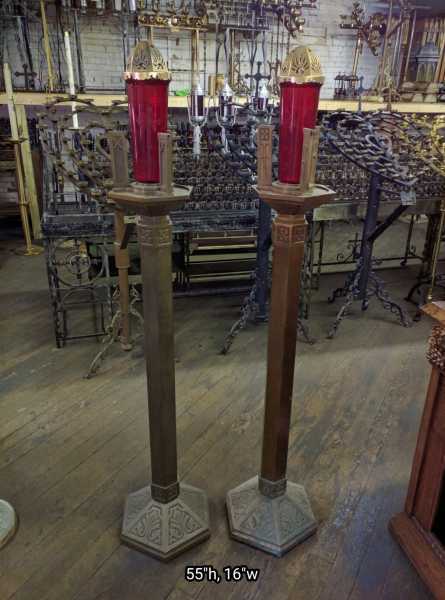 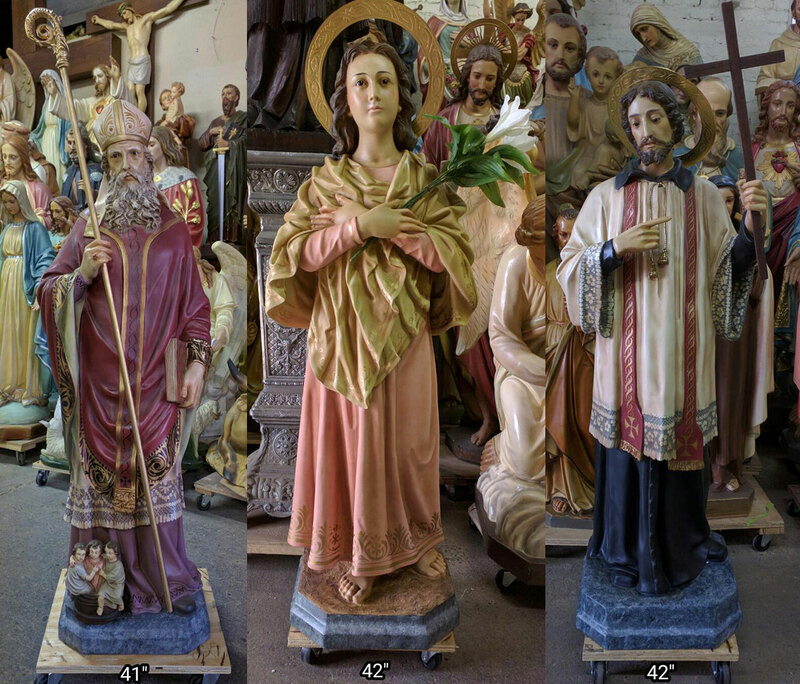 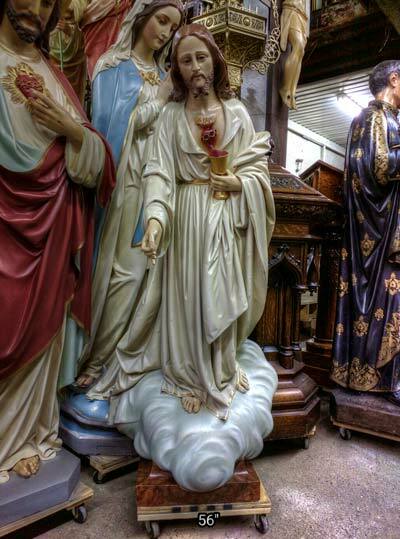 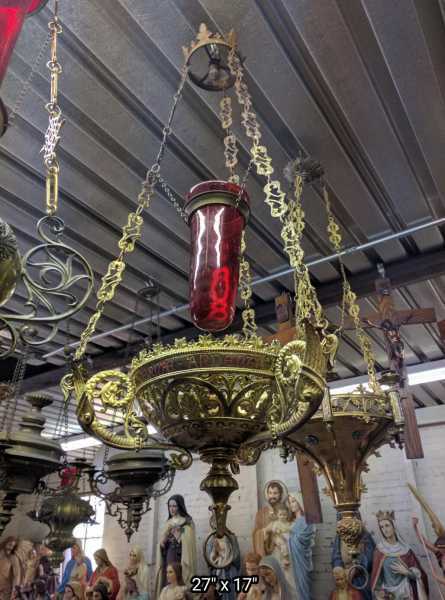 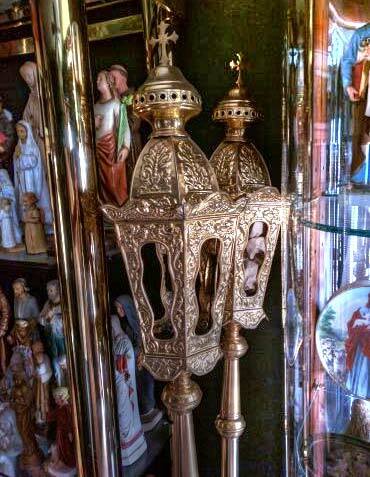 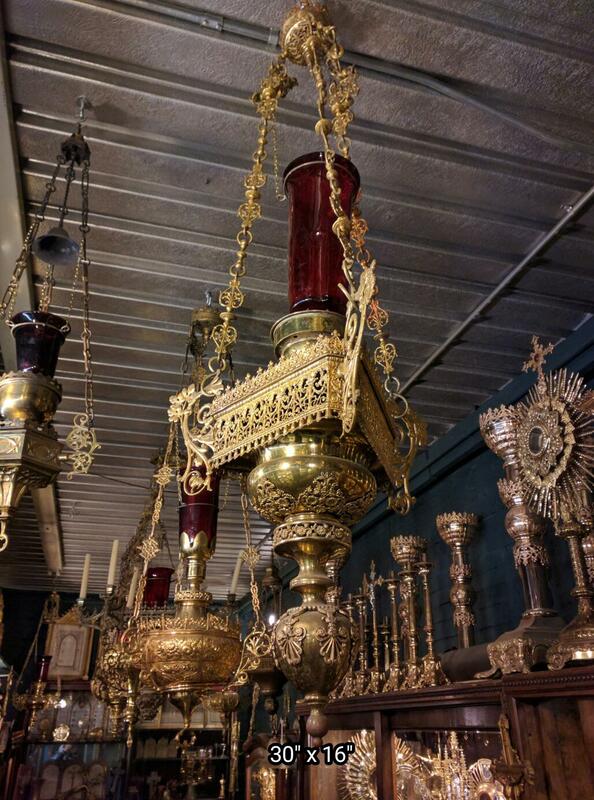 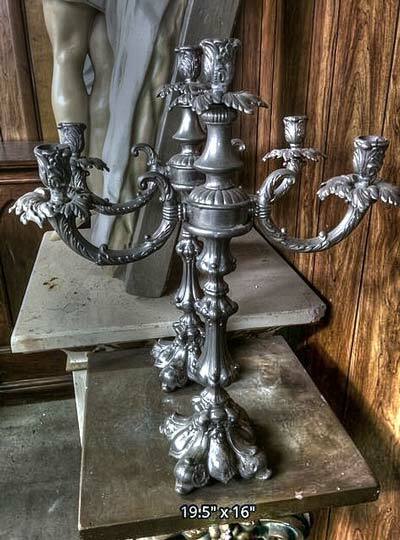 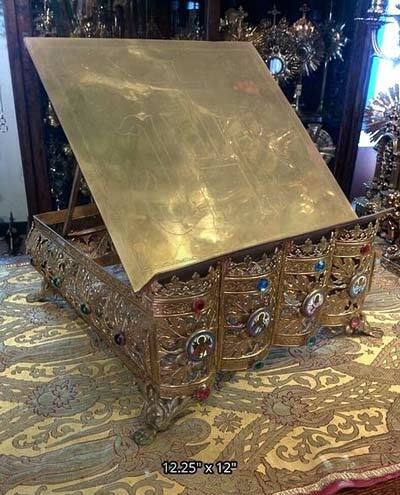 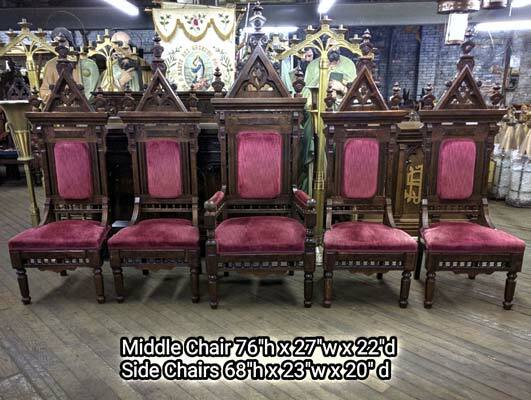 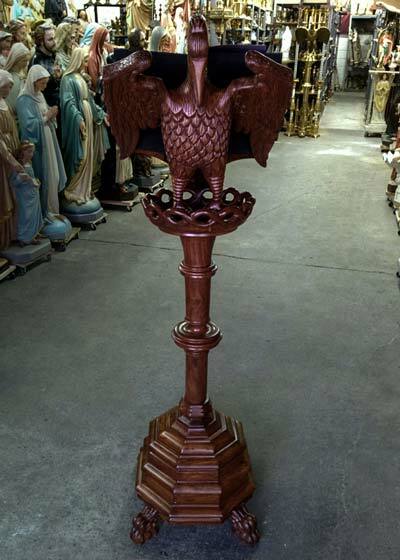 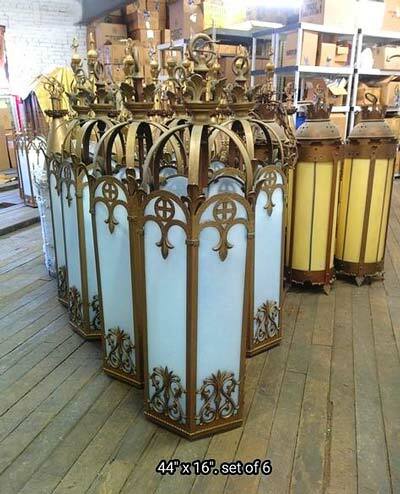 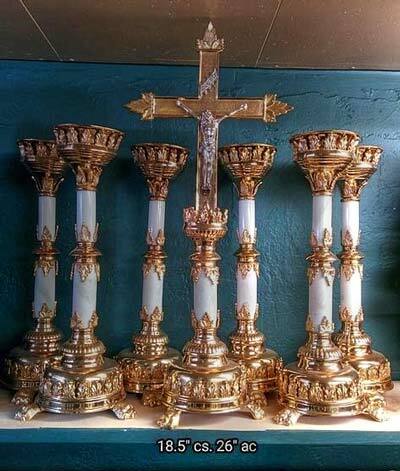 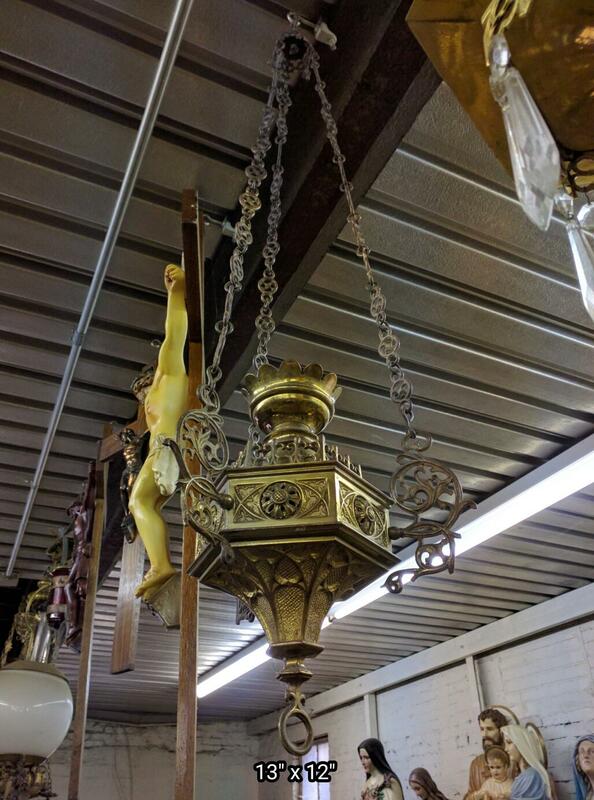 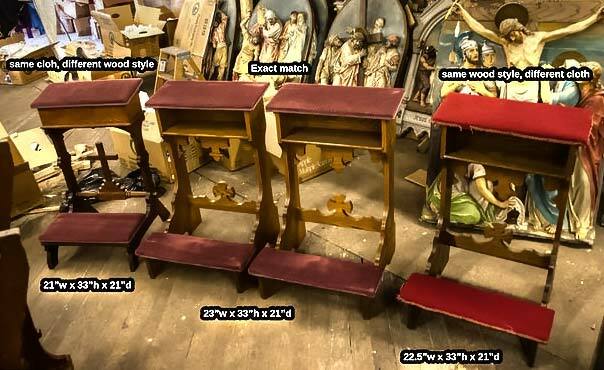 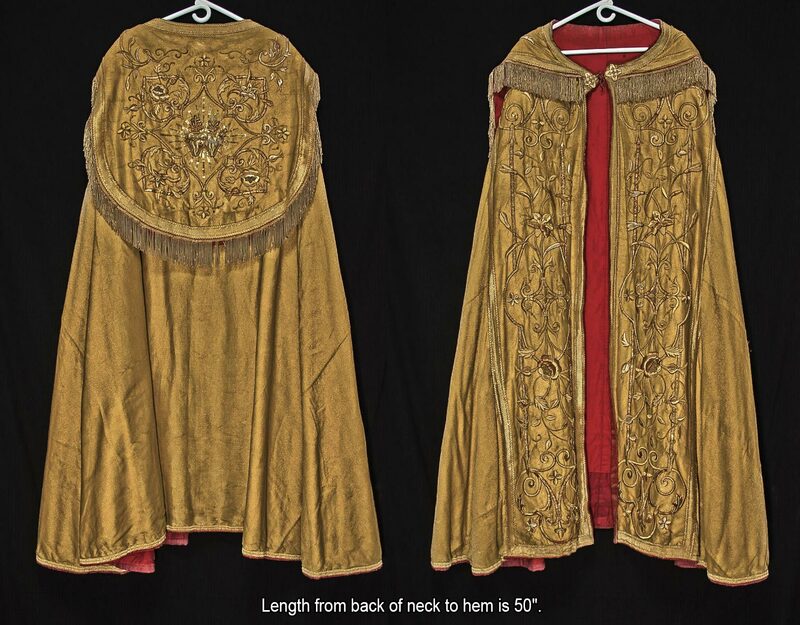 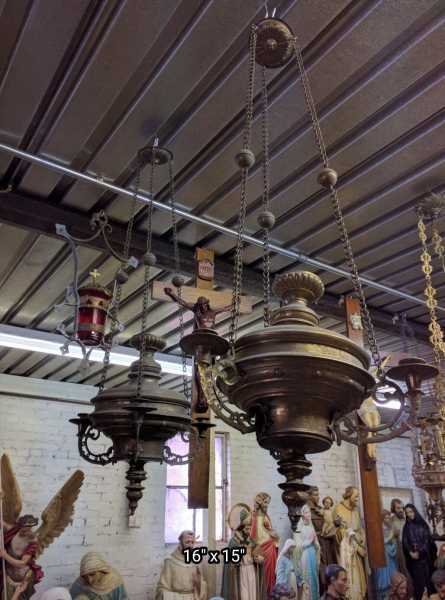 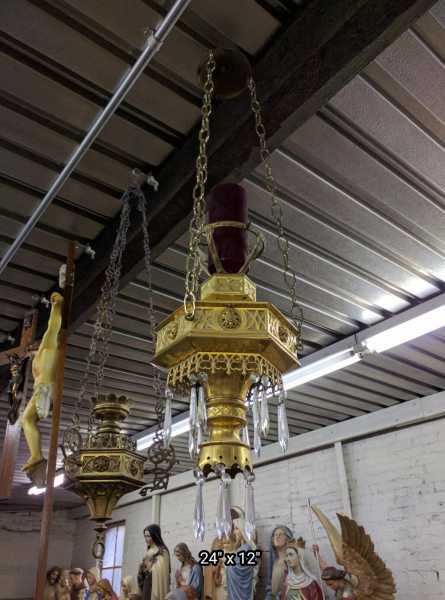 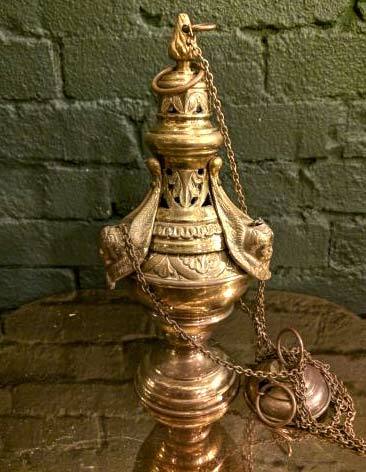 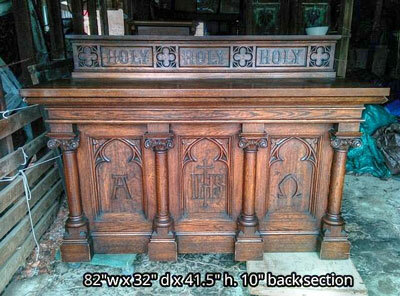 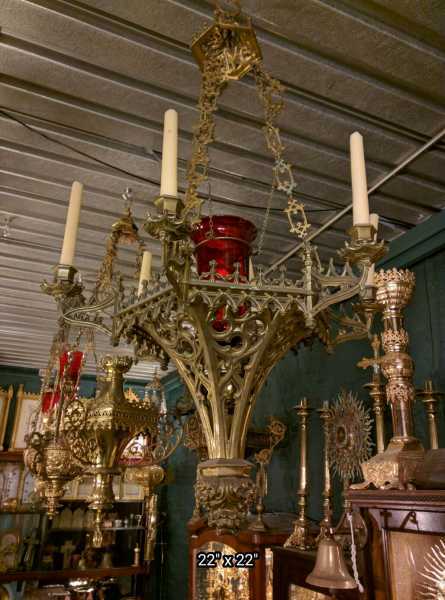 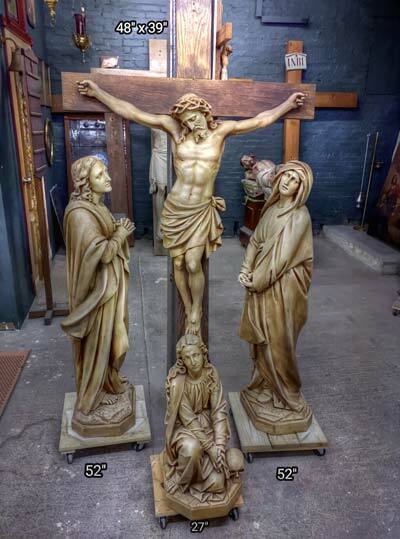 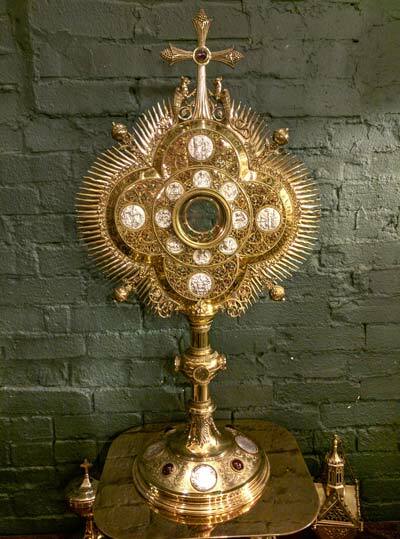 + Current inventory includes hanging gothic sanctuary lamps, large antique cathedral sanctuary lamps, small votive altar sanctuary lamps and more. 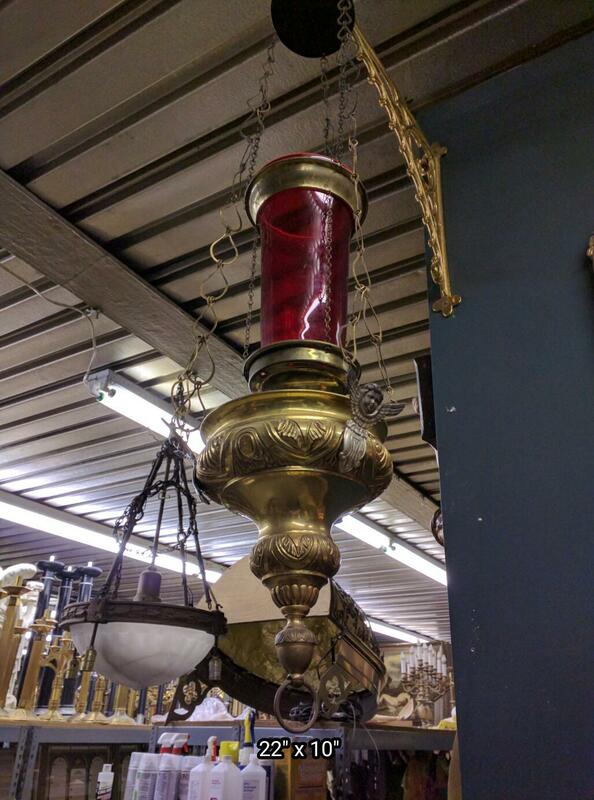 ** Measurement is from the top of the globe to the base of the lamp. 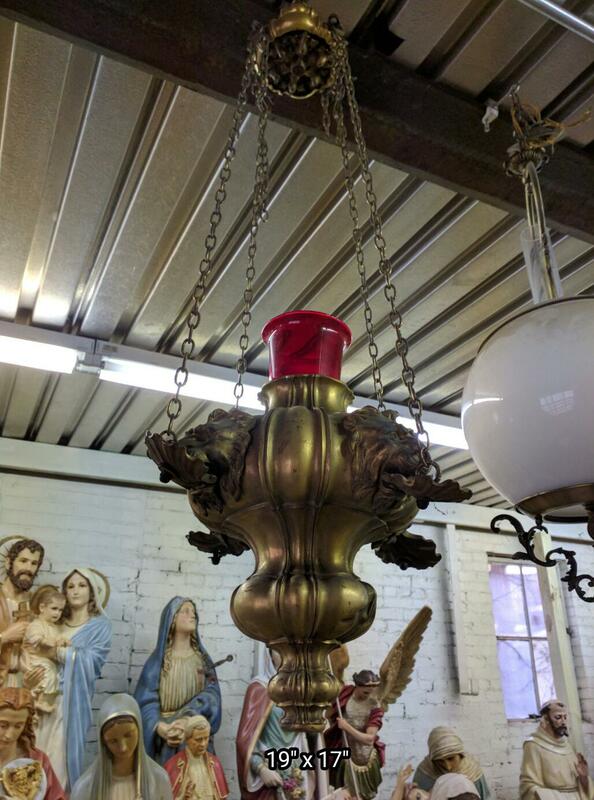 If there's no globe, it's from the holder ring to the base.